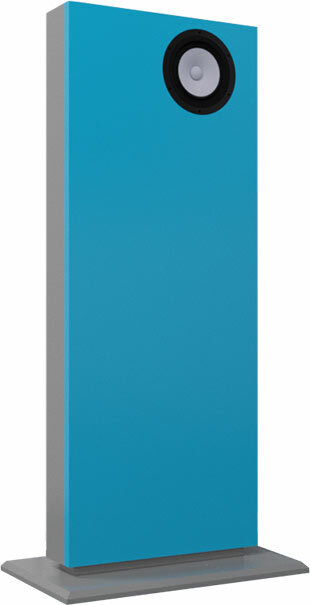 Mark 1 is a flat floorstanding speaker that is easy to integrate in smaller rooms due to a depth of only 10 centimetres. It contains a fullrange speaker Mark Audio Alpair 10 P.
With Mark 1 we follow the theory of Mark Fenlon. Mark Fenlon is the owner of the brand Mark Audio. According to his theory we don't need a crossover for a good full range speaker.